⇒ Want to see all the Top-Rated Kitchen Gadgets, easy to buy online? Click here to check them out. Most of these gifts are kitchen-focused but there are plenty that will appeal to anyone. You don’t need to be a foodie to appreciate these kitchen gadgets. Shredded meat is always popular and at this time of the year with holidays approaching there are so many opportunities for entertaining family and friends. 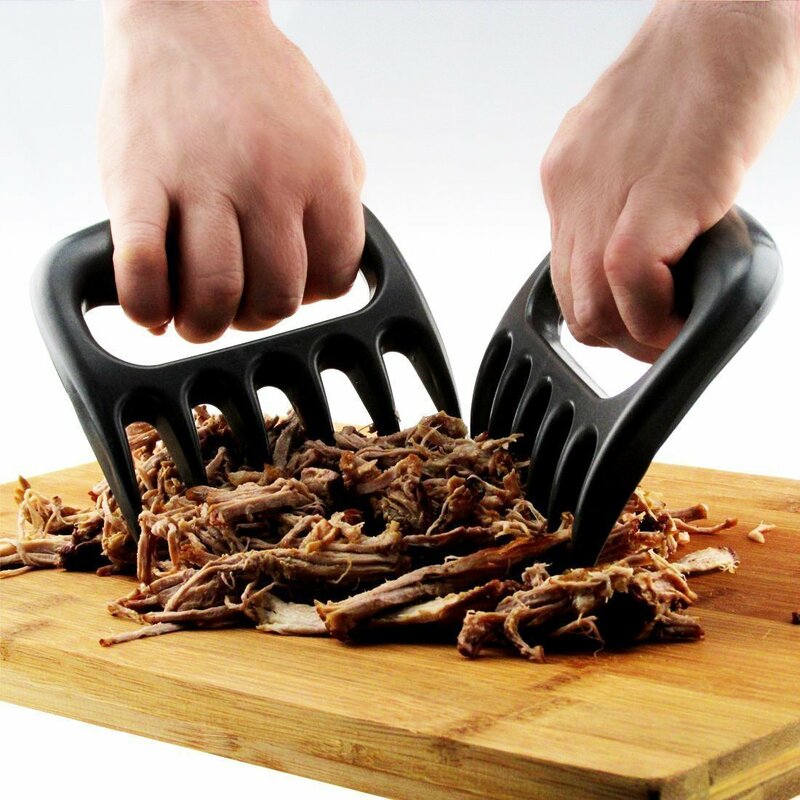 With food to be cooked and meals to be prepared, show off your bear skills in the kitchen with these meat shredders. They’re heat resistant up to 450 degree F. Don’t think they’re limited to meat. You can use these claws for tossing salad or mixing or serving. These claws will help you to lift meat off the grill. They’re also great if you like to keep your hands clean when preparing meat. The claws come as a pair and they’re so cheap you won’t believe it. Be sure to buy extras as stocking stuffers for family these holidays. Everyone loves making pancake art. Whether you’re a true artist or one of the kids in the family, it always tasted great. 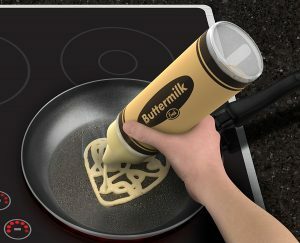 But why stick to an ordinary pancake pen? Get the crayon pancake pen for more fun. 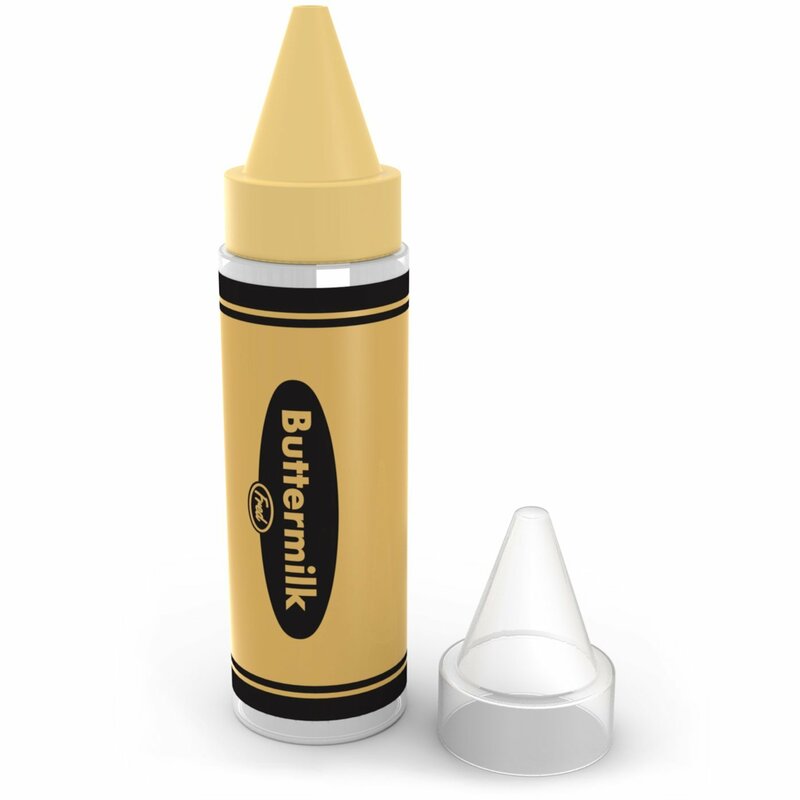 This product makes pancakes pens more fun to give as a gift. You’ll really enjoy using this for creative breakfasts. It even includes a guidebook for making amazing pancake art. You really can’t go wrong. Yum, it makes me want pancakes right now while I’m writing this! For the price, see here. These bowls are not only cool but really useful. I am the classic example of this product’s target audience. I hate soggy cereal. Can’t stand it. 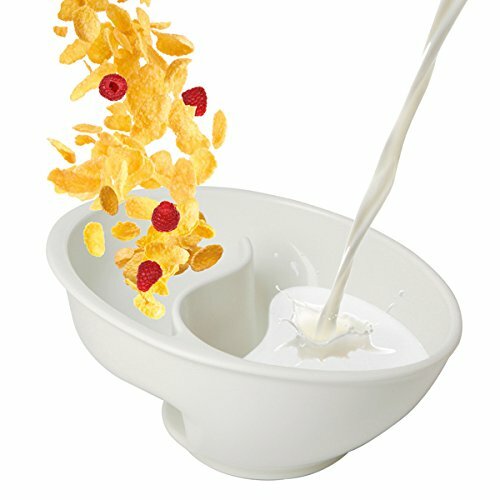 And I love this never soggy cereal bowl. The only problem is that my whole family feel the same way. 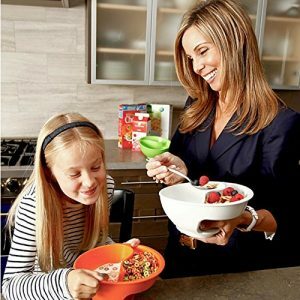 So, if you plan on buying one of these bowls for yourself, I recommend you buy one for every person in the family. That way you won’t need to share yours. Let’s face it, no one has time for sharing at breakfast! ⇒ Want to see more? Check it out here. I love this idea for work or home. It sure beats building a campfire in the back yard. And you don’t need to worry about your marshmallows catching fire! My kids are going to love this. It’s definitely on the “To Buy” list this year. A great stocking stuffer idea. 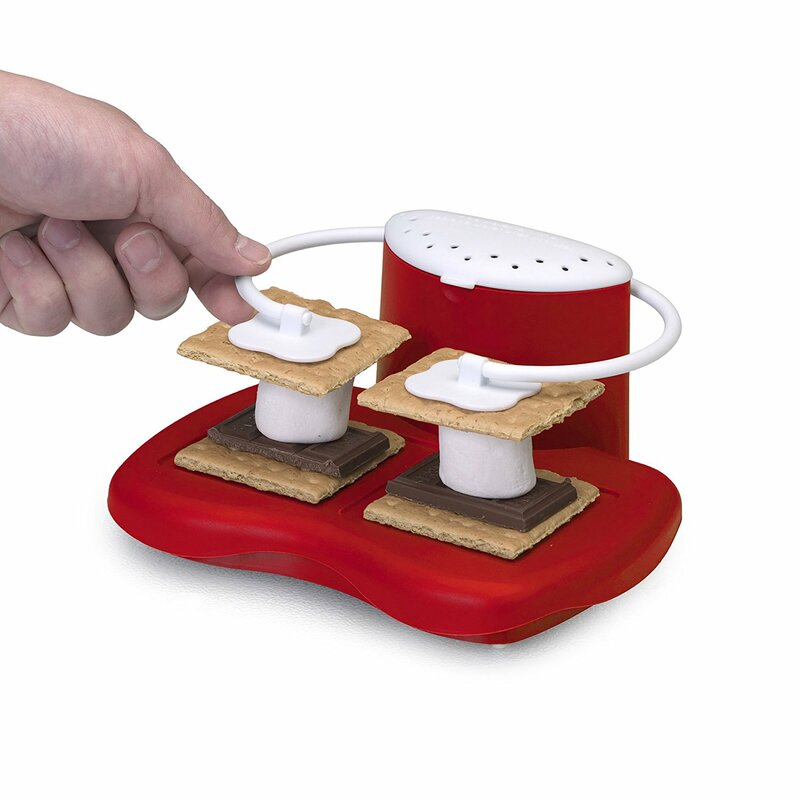 It’s a really clever little design with the arms preventing the marshmallows from over-expanding and overcooking. Everything stays in place where it’s meant to be so there’s no big clean up in your microwave. A really good device. ⇒ For an excellent price on this waffle iron, Click Here. Is there a geek in your house? What about at work? 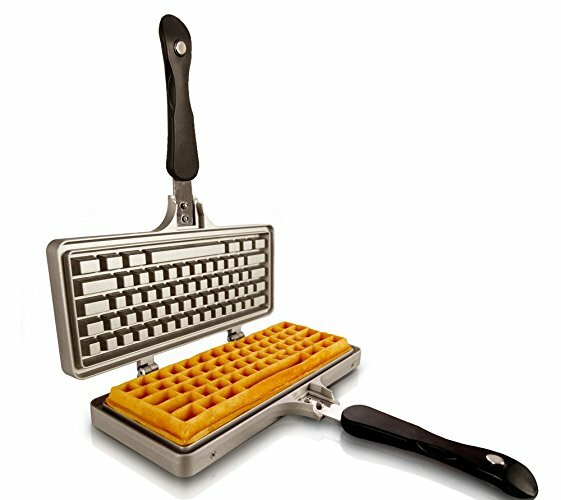 Would they love this keyboard waffle iron? Personally, I’d love to receive this as a Christmas gift. It’s fun and useful. That’s my definition of the perfect present. You can heat this waffle iron on a stove, grill or other cooking surface. You can even take it camping! The waffle iron is made from die-cast, non-stick, aluminum. This design is durable and strong. The handles are heat-resistant for easy cooking and flipping. If you’re looking for the cutest of little kitchen gadgets, look no further. 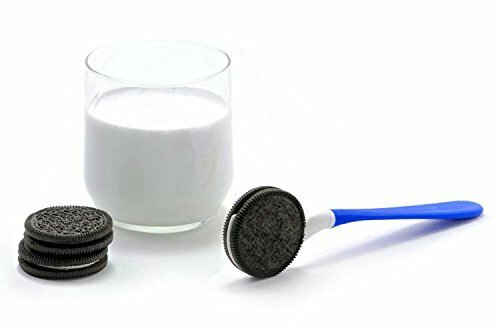 This is a cookie dipper and if you love to dip your Oreo’s then you’ll love this. It’s such a simple but clever idea. Your very own separate Oreo spoon, so to speak. You can buy them individually or in a five pack of different colors. When you buy the five pack they are individually wrapped so you can use them as separate stocking stuffers. ⇒ Check it out. See more here. 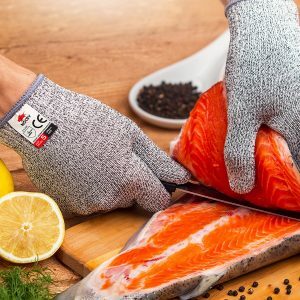 Have you seen these amazing cut resistant gloves? People are going crazy for these. So handy! With over 10,000 reviews on Amazon and an average rating of 4.7 out of 5 stars (at the time of writing) you really need to take a look. These gloves have so many uses. Have you every filleted fish and accidentally cut yourself? What about using a mandolin, have you every cut your knuckles on the blades? And grating cheese or carrot – your finger tips – every done that one!? 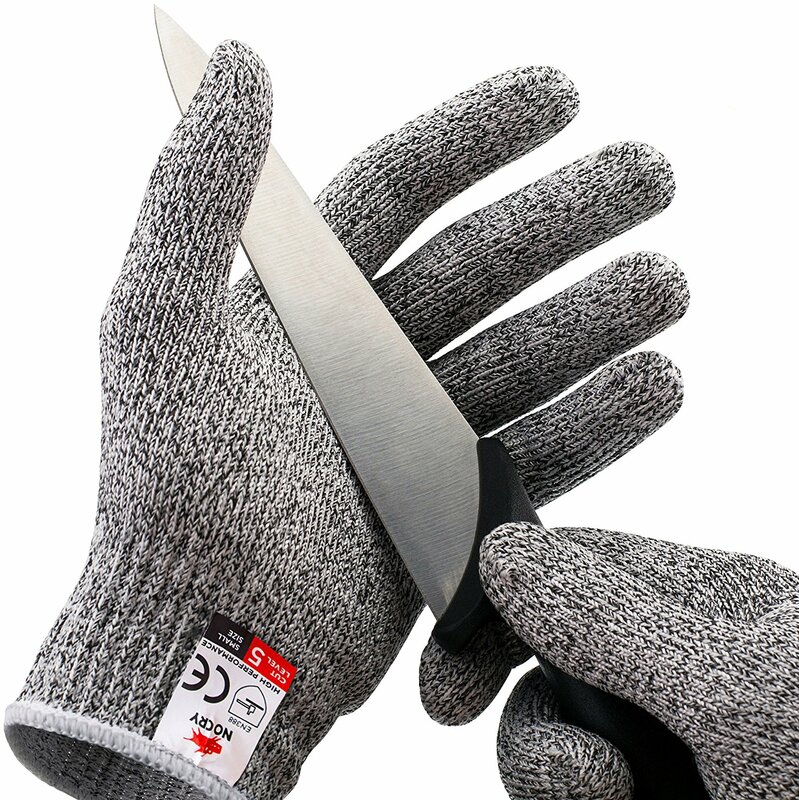 The gloves are highly durable because they’re made from a material that is 4 times stronger than leather. Yet they’re lightweight and comfortable while protecting your hands. They’re a snug fit so they’re really useful. You retain control over what your holding. You can choose your own size and there’s a size chart on the buying page to help you select the correct one. These are so handy for so many different reasons. Buy a pair yourself and remember to buy some for your mom, dad, uncles, aunts, grandparents and friends. They’ll really appreciate such a thoughtful present. ⇒ To see the price on these Citrus Sprayers, click here. 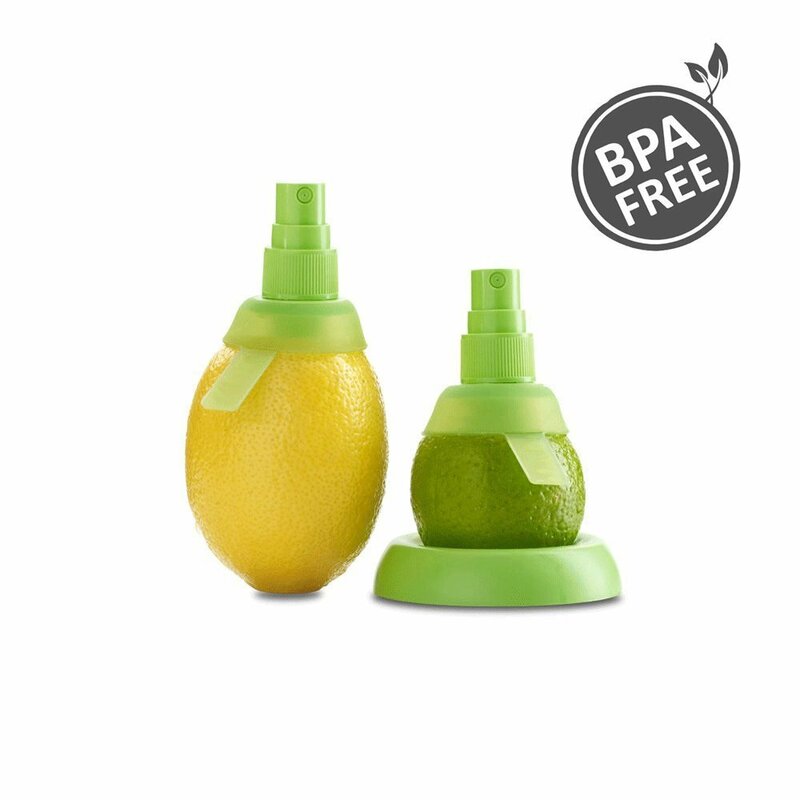 These citrus sprayers are great for a light spray of lemon or lime juice over your food. The first time I used mine I couldn’t get a lot of juice out of the fruit. I then learned to roll the citrus fruit on the counter first to soften it a little. After this my sprayer worked great. I love using these for extra zing over salad or fish. Probably any seafood would benefit from a spray of citrus. It is so light and evenly spread with a sprayer rather than pouring it over. While this product is incredibly convenient, there are some people who are worried about wasting a lot of the fruit. It’s true, you don’t get the maximum amount of juice out of it. Personally, I often take the sprayer out of the fruit after a couple days and cut up the lemon and use it in other things. If you don’t want to take this approach there’s another great product available. 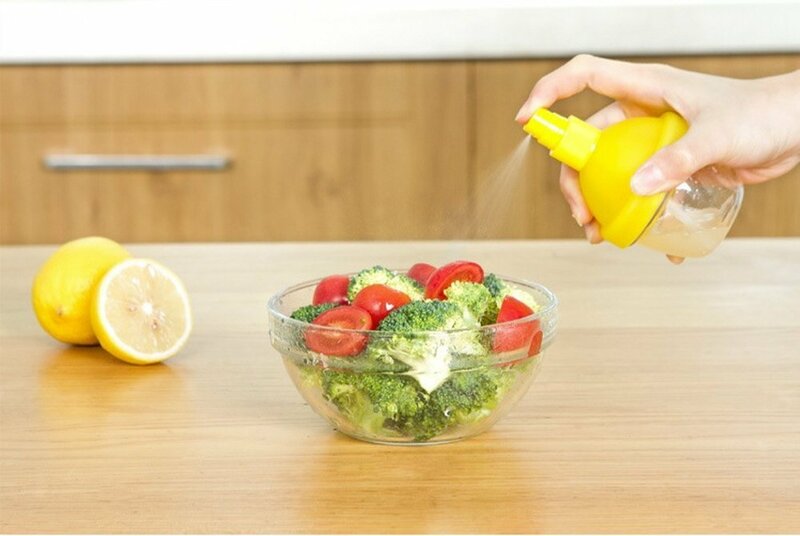 The Manual Squeezer Sprayer lets you get most of the juice out of the citrus fruit before you spray it. But the advantage of this product is that the whole process is contained in one cute little product. I love it when I don’t have anything more to store in the kitchen. You can easily take it with you to a holiday home or even camping. This is definitely one of the clever little kitchen gadgets you’ll want for yourself. Of course, it makes a great gift too. ⇒ Thinking about home-made ice cream? See the Cuisinart ice cream makers here. ⇒ Wanting a new pour over kettle for that perfect coffee brew?